Baba and the mandali were driven back to the ship in the morning on Sunday, 22 September 1929, and they left Karachi the same day, amidst a loving farewell. During Baba’s brief visit, Jamshed Mehta established a closeness with Baba and was to become a significant contact. 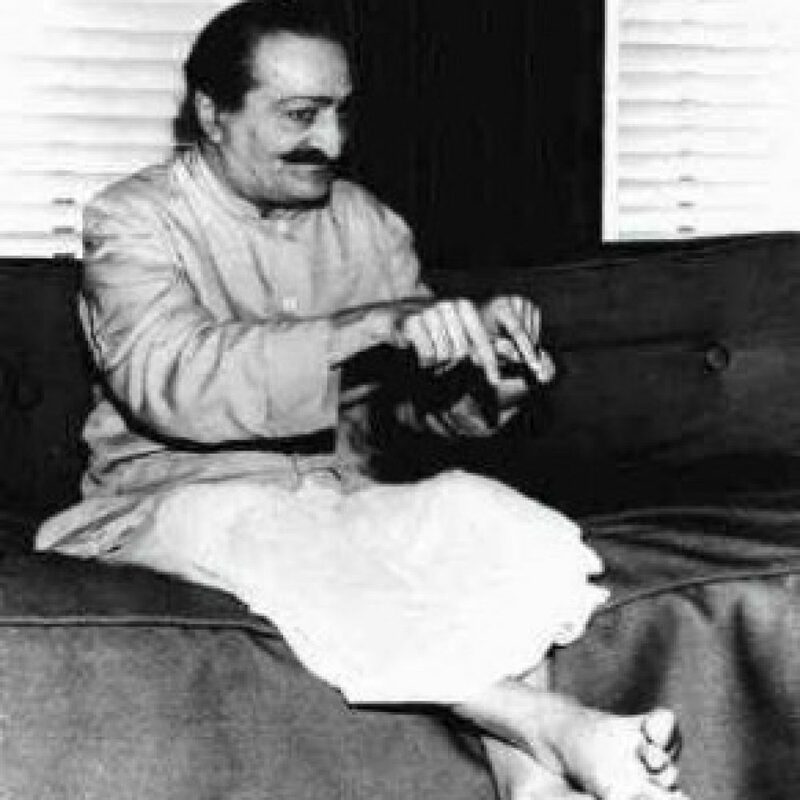 He was a friend of Mahatma Gandhi and it was through Mehta’s influence that Gandhi eventually came to meet Meher Baba. Thousands joined the funeral procession for Hazrat Babajan last journey through the streets of Poona. Babajan was buried at 10:00 A.M. on 22 September under the same neem tree where she sat for so many years. The expense of erecting her dargah (tomb-shrine) was met by her beloved son, Merwan, who personally contributed (rupees) Rs.4,000 for its construction. On 22 September, after two days, Baba and the women left Paris. They broke the return journey at Roanne, and arrived back in Cannes the following night at eleven o’clock. On Sunday, 22 September 1957, 101 poor children from the school in nearby Pimpalgaon Village were brought to Meherazad. Baba bowed to them and gave each the same prasad, one rupee and laddoos prepared by Chhagan. Although Baba still had intense pain in his hip joint, he laid his head on the feet of the poor and lepers for his work.